30cm x 35cm. 4 x rPET mesh bags. 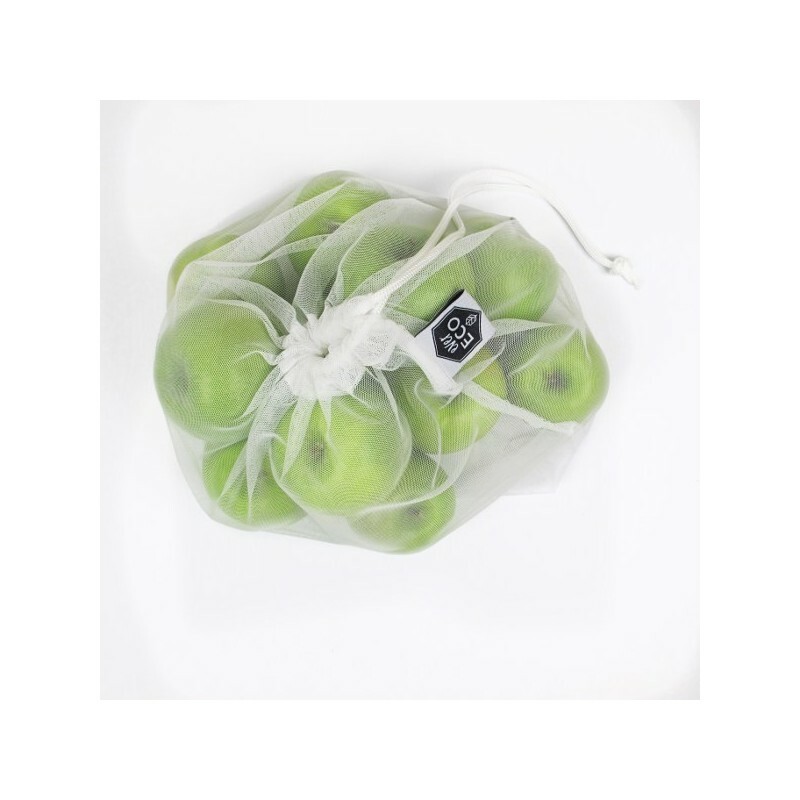 These mesh bags are perfect for living environmentally friendly lifestyle. I have had mine for a year now and they are still in untouched condition. They are super easy to look after, I just throw them in the laundry machine and they’re good as new. I absolutely love the fact that they are recycled - this was such a great purchase from biome. 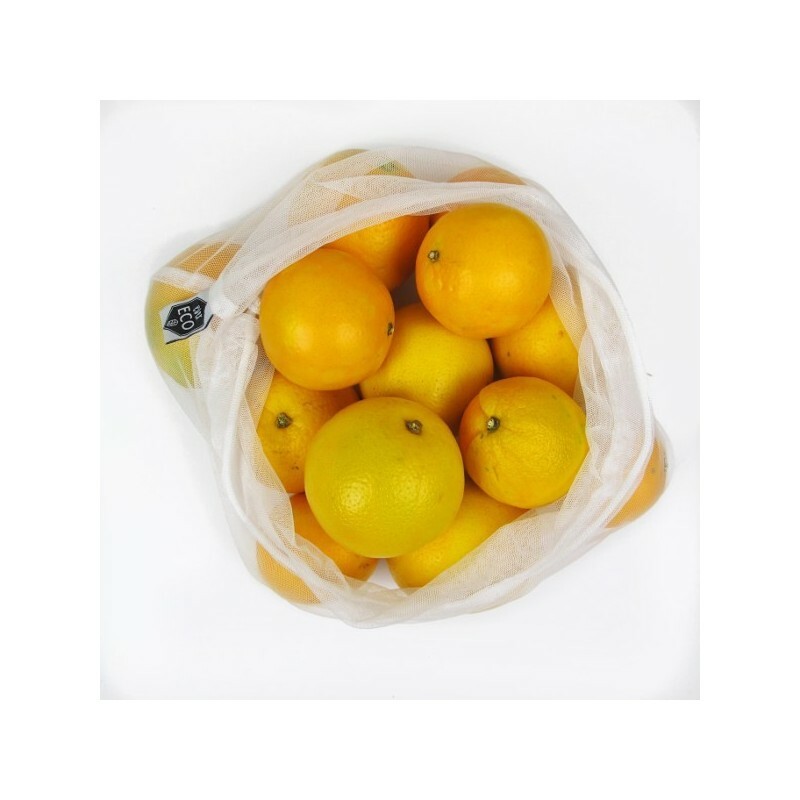 Reducing plastic bag use, one shop at a time. 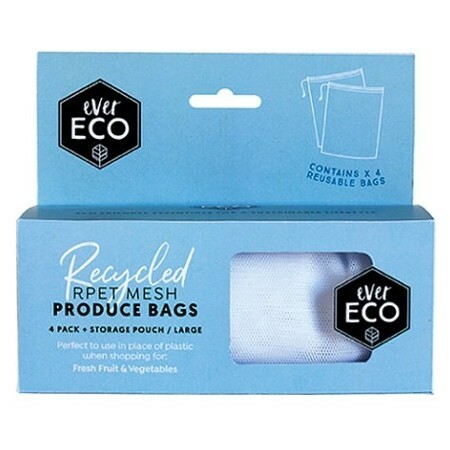 Great way to reduce plastic use. Sturdy and large enough to fit in lots of fruit/veggie/whatever you like! With a convenient little clip to attach to shopping bags so you can't forget them. I got these as a gift as my SIL was "stressed out" by all my loose fruit and veg in my trolley. They are awesome. Come in a little bag so you can keep them all together and they're a large size. I had been meaning to buy some for ages so I'm thrilled. 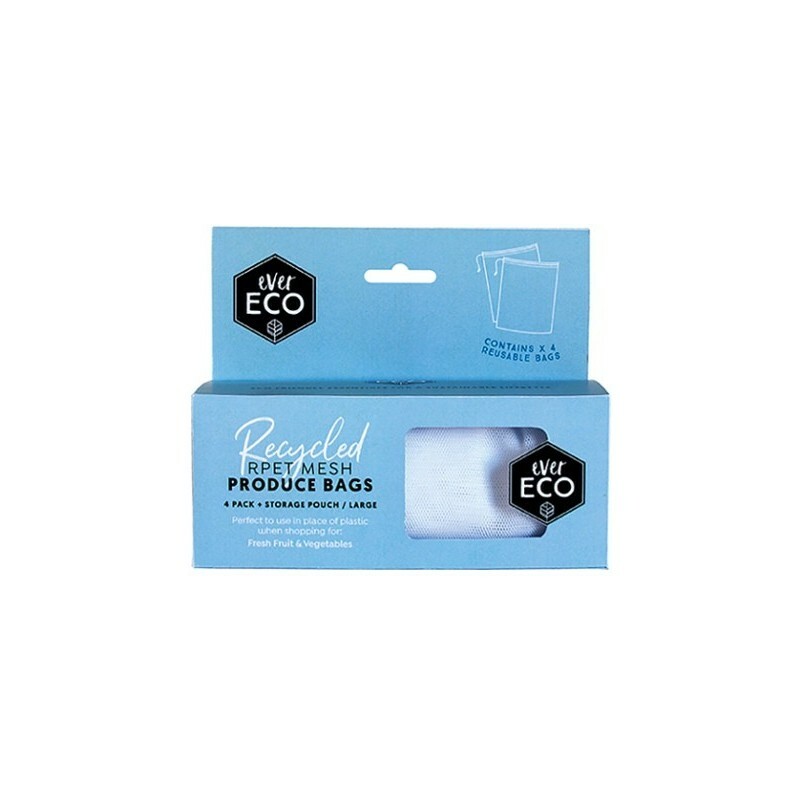 Some of the brands I have seen in my local stores aren't made from recycled plastic which is a big thing for me, and these ones are. Tick!